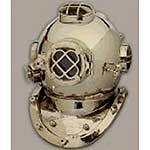 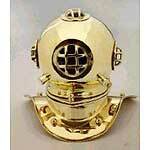 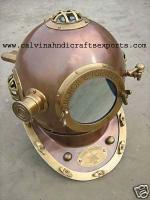 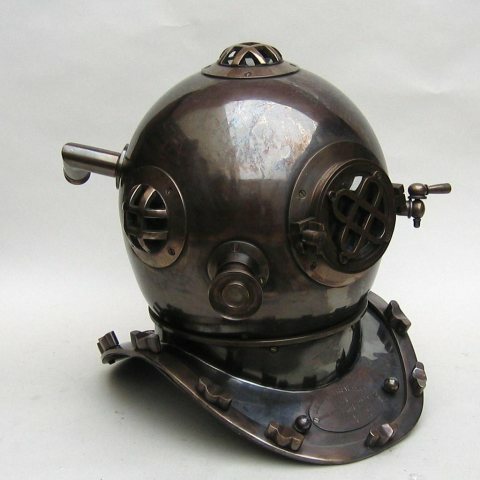 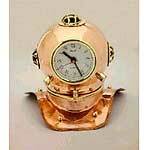 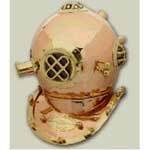 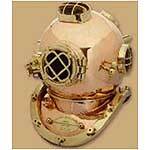 18 inch NIckle finish Diving helmet its made of iron,copper & brass. 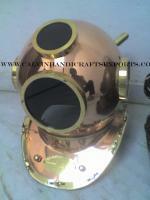 as per buyer order we will make . 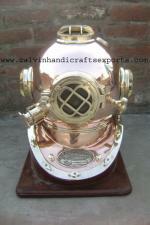 12 Kg Coppper Mark V Diving Helmey with Wooden Base Its Ball is Copper and all other Part is Solid Brass.